Halloween Event Coming Up for the Grand Island Autism Community! 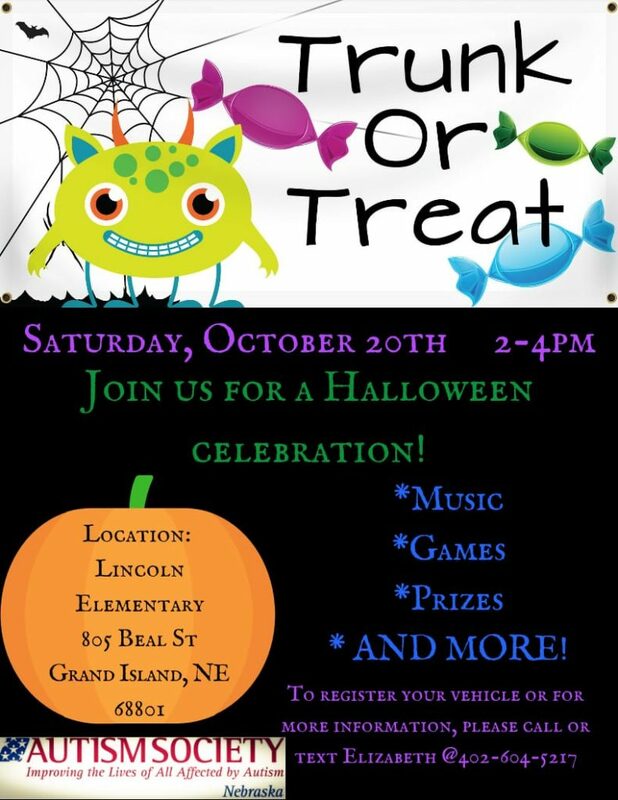 On Saturday, October 20, 2018, ASN Grand Island will be presenting a TRUNK OR TREAT event at Lincoln Elementary School in Grand Island. For more information, contact Elizabeth Ogden at 402.604.5217. We welcome ALL people of ALL abilities. Come and meet other families that are affected by Autism. We want to share ideas and experiences, vent about the brick walls we’ve hit, and most importantly realize that we are a growing community and that we are not alone. Come to share your support. Come receive support. Third City Christian Church, 4100 W 13th St, Grand Island, NE 68803. Spread the word & bring a friend!